Today I plan on talking about Return on Investment (ROI), and this post is kind of bitter sweet as it is my last post for my Social Media Marketing class #MARK4474! Before this class I don’t think I had even read a blog before let alone wrote one, so have learned a lot of useful skills for this class. I also seem to be able to use Twitter more frequently now, I even think to do it automatically, which wasn’t even a thought before. So please enjoy my last blog about ROI. 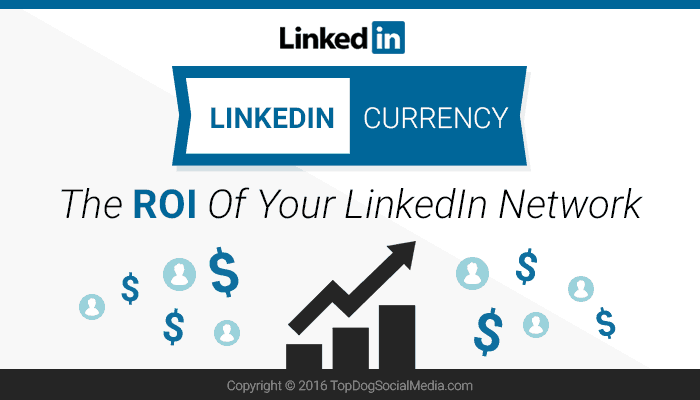 ROI can be described as the value gained from an investment. Social media marketers find it difficult to ascertain its ROI since values and figures are not used. Vanity metrics are involved in determining the return on investment in social marketing. The analysis that is usually done in ascertaining the returns on investment is measurement on those social media platforms used in marketing. The measure would help in giving an insight into your investment and the ways of improving the business. This posting seeks to prove that returns on investment in social media marketing are feasible. The objectives of advertising campaigns in social networks are achieved in the medium and long-term, while social benefits as an engagement level depend entirely on the approach, planning, and development of a successful strategy. Audience segmentation is vital to improving return on investment. We can “pivot” each time the investment is not yielding the expected results. Some of the ways of measuring return on social media investment include the following. How to calculate the ROI of my presence in social media? The first thing that a company should note is the amount of money that they are using to market the brand of the company. Recommendations are that the firm should have a spreadsheet where all the costs are included. A worksheet function assists in gaining buy-in from other functions throughout the company and in disciplining your thinking. The spreadsheet helps the company know the areas where they are under-investing. This technique should be used by companies having several media outlets through which they are carrying out their marketing. The method entails the comparison the effect that social media channels are having against other marketing and advertising channels, for example, television and radio (Briody, 2010). Through that comparison, the company will be able to know what is working out best for them, what they should use and what they should stop using. In addition to that, this technique also lets companies know the advertising tool that is most beneficial to the company and reaches out to a larger target audience compared to the rest. In 2010, Creative Territory conducted a survey to learn about the behavior of Spanish companies in social media that also became a report that accumulates 20,000 downloads on the sites checked, and was cited in various general media. By asking different suppliers the average cost per answer, they evaluated the total savings in 4,000 Euros. Because of technology innovations and inventions, there are several analytical tools which have been developed, and their primary function is to measure the return on investment on social media tools. One such tool is known as Google Analytics. As with traditional media, prints have a market value. To determine these values are added impressions of Twitter and Facebook, visits to videos uploaded to YouTube, traffic to the web and any other source. The total impressions are divided by 100 and then multiplied by a CPM of the industry or sector concerned. Measuring conversions with Google Analytics or any other web analytics tool is imperative. This requires a significant investment of time, but it is necessary if you want to understand the ROI of social media, measure the sources that generate us greater conversion. For some companies the conversion can be directly a sale through an e-commerce platform, for other B2B and some the conversion may be that of a submission of the contact form. To understand how to calculate returns on investment on social media platform it is imperative to gain concepts on the business strategy and social media. The analysis is mainly done on social media platforms such as LinkedIn, Twitter, Facebook, and Instagram. Social media marketing also offers nonfinancial and financial benefits. It is essential to understand the link between business strategy and social media before getting involved in social media marketing. 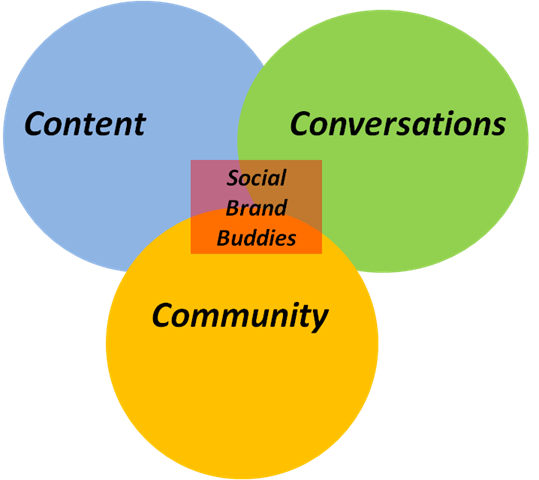 For optimal success in social media marketing, there should be in-depth understanding of business strategy. Measurement must be involved to know the performance of the business. It is a robust strategy to employ in tracking activity. It helps to know whether the business is heading in the right direction. It is through measurement that adjustment is made to suit the business plan in place. Measurement provides numbers which are essential in business as it prompts action and changes. Objectives are also vital in business planning. The business strategy needs to answer the question such as what, when, who and where. It through objectives that the business would be tracked and it successes measured. Goals make it possible for strategies to be converted into actions and plans. For example, using Facebook in promoting specific products and its resultant increase in consumption levels is the achievement of a business strategy employed in marketing. It is difficult to calculate returns on investment in social media marketing arena. The primary focus is the connections from the interactions on the social media. Social media marketing mostly uses vanity metrics to measure the returns. For those using Facebook platforms, the number of likes forms the basis, and it is what matters and for Twitter users it the number of followers. The important factors used in social media metric are engagement, websites traffic and volume of the users. Measurement in social media mainly involves attracting, retaining and converting the audience into potential customers. Social media marketing is cost effective due to low cost involved. The investment that is required is the time of preparing and posting content and may be of responding in cases of Facebook. Also, the investment arises when creating images and setting up profiles. Money may also be spent on social media advertising while boosting a post on Facebook, sponsoring contents on LinkedIn and promoting tweets on twitter. Social media metrics inform about the successes of the business. With volume, it is easy to know how far the content is circulating and the reach of that content. It matters to business if the audience can be converted into customers. The number of followers on Twitter or Instagram or the likes on the Facebook page does not matter much in social metric. In volume metric, the emphasis is on the number of connections on the LinkedIn profiles, some likes on the Facebook page, the number of followers on the twitter account, and the number of followers on Instagram. Another aspect of measuring success on social media metric is through engagement, and it mainly involves reactions and responses to the posts made. In LinkedIn it is replies, shares, comments, and updates on posts while in Facebook it is reactions, share, and comments. On Twitter, it involves replies, retweets, and likes on the post. Through engagement, it is easier to get a more significant response and build on the audience through interactions and sharing the content of the business. The website also forms part of measurement on the social media metric. By checking acquisition overview, it is easy to check on the traffic on the websites by use of URL. Wise (2017) notes that return on investment is a measurement of efficiency on the cost of activity or inactivity on social media. Social media return is the value derived from social media based on the objective of the campaign carried out. To be able to gain more on this it’s imperative to examine the examples of the following social media platforms. Facebook as a social media campaign is used by marketers for posting content, receiving reactions and shares on an advert which significantly drives the sales upwards. The returns on investment would be the number of sales achieved because of the social media campaign. For example, consider that there are 2000 Facebook users, and 200 visits on Facebook page in a week, it is likely that 50 of the visits results in the sales that amounts to 400 dollars profit. Considering that the quality is steady, every added fan will give a monthly 50 cents profit. Besides, Twitter increases the level of consumer insights into a specific good or service. ROI in this scenario is the quality and quantity of the consumer insights from fans and followers. By sharing and retweeting, a higher number of consumers are reached which can be converted into sales. Twitter enables the creation of incentives for people to indicate their social media presence and connect with the brand in the advert. Finally, LinkedIn as an example of social media platform promotes brand awareness. The ROI in this case would be brand awareness campaign if the objectives of the business were brand awareness. The effect on the social media gives insight on the social media marketing activities on the market. For example, feedback from new clients that starts to become paying customers for reading the blog posts. Farewell my readers, it has been a blast and who knows I may just start up another blog sometime soon. Kumar, A. (2012, February 27). Three Secrets to Using Google Analytics for Measuring Your Website’s ROI. Entrepreneur. Retrieved from https://www.entrepreneur.com/article/222947. Technologies. Harvard Business School Press. This is my first time blogging as I am new to the process of speaking so publicly to the world. This blog is for my Social Media Marketing class and will be an informational blog/ personal opinions of certain points from the textbook and articles we are discussing. Please feel free to leave opinions or any comments that you feel are relevant.